If you like birds and books and have around $9,250,000 to spare, boy, have I got a deal for you. Auction house Sotheby's has announced that on December 7 of this year they'll be auctioning off several books, manuscripts and letters from the collection of dead British book collector (and presumed Harry Potter villain) Lord Hesketh. Among these items will be an illustrated folio of Birds of America, which is one of only 119 known copies, just 11 of which are in private hands. 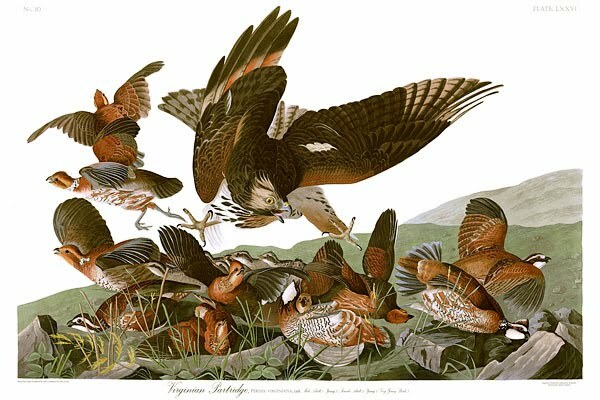 The book was written and illustrated by some Norman Bates type figure named James Audubon who used to travel the country killing birds and then posing them in little scenes and painting them. People are weird. If you had a society incorporated and named in your honor, what would you like it do?